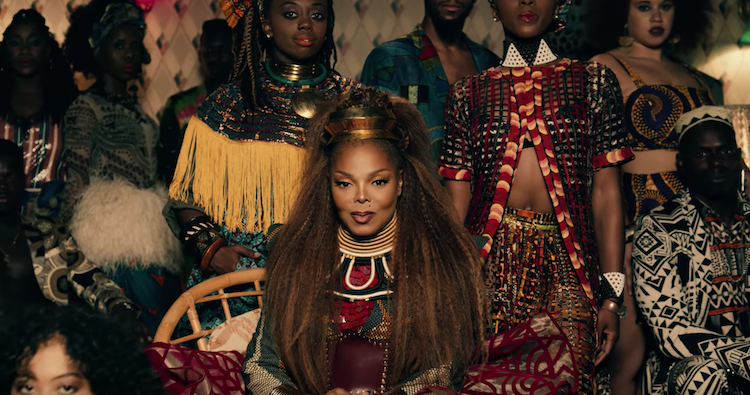 After achieving last week’s #22* Power Pick, Janet Jackson and Daddy Yankee‘s “Made For Now” is this week’s #14* Greatest Gainer on the Billboard Dance Club Singles Top 50 chart. Since its drop, the Rhythm Nation release has earned over 5,000,000 plays on Spotify alone with the official music video capturing over 36,000,000 views. The clip features a host of dancers from around the globe participating in a neighborhood dance party. The dance crew hails from Ghana, Nigeria, Grenada, Trinidad and the U.S. Check out the song and video below. Produced by Harmony Samuels, Jackson’s latest single is her first new music release since she dropped her 11th studio album, 2015’s Unbreakable.